Quite a while back, I wrote about a series of books by Steve Jackson titled “Sorcery!”. These are basically RPG versions of Choose-Your-Own Adventure books, with stats, dice-rolling, and monster combat. Sorcery! is a series of 4 books that make up one overarching story, but they’re part of a bigger series of books called Fighting Fantasy. Some of the Fighting Fantasy books take you to all kinds of creepy, fantastic, and wonderful locations. 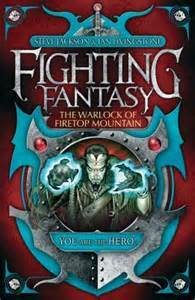 The very first Fighting Fantasy book, called The Warlock of Firetop Mountain, is more or less a dungeon crawl that takes you through the twists and turns of a dungeon deep within a mountain. One of the really fun things about Fighting Fantasy books that have mazes or dungeons, is that you can draw maps of the adventure as you play through the book. It takes longer to go through the story, but the process of drawing the map as you go can be a lot of fun. 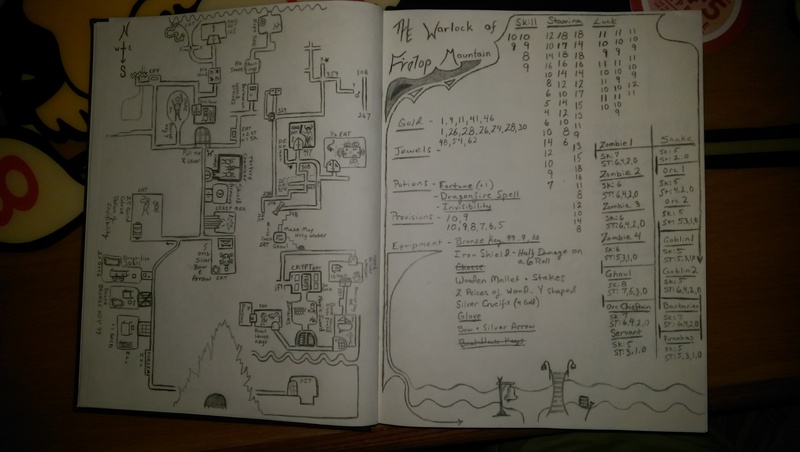 Seeing his map brought back some pretty good memories of playing through this story. I have no idea where the map I drew for this book is, or if I even still have it, but this makes me want to look around to see if I kept it. If reading through a story that lets you roll dice to fight monsters sounds fun to you, I’d recommend picking some of these Fighting Fantasy books up. There are vendors who sell them at ridiculously high prices, but there are also vendors who sell the same books for dirt cheap, so they’re not that hard to come by. Back when I was a boy, a new game was released that captured my imagination. 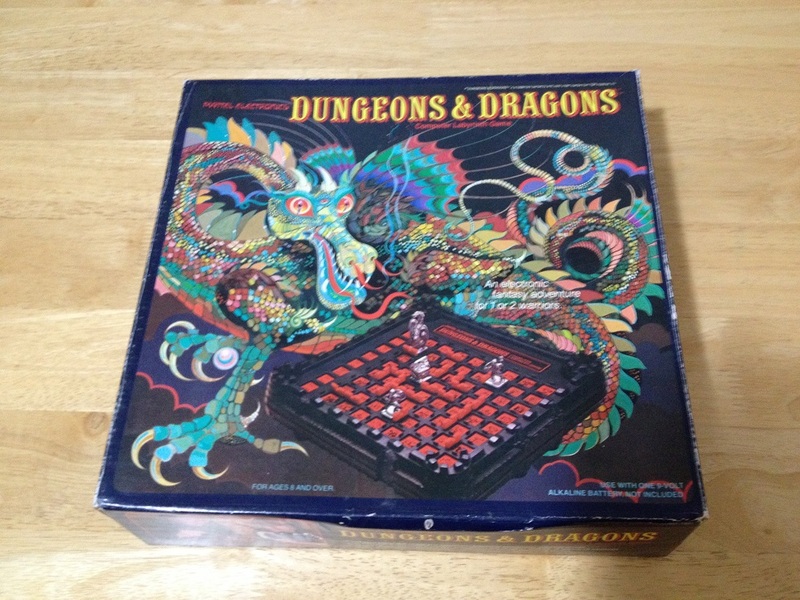 It was 1980 and the game was the Dungeons & Dragons Computer Labyrinth Game made by Mattel Electronics. 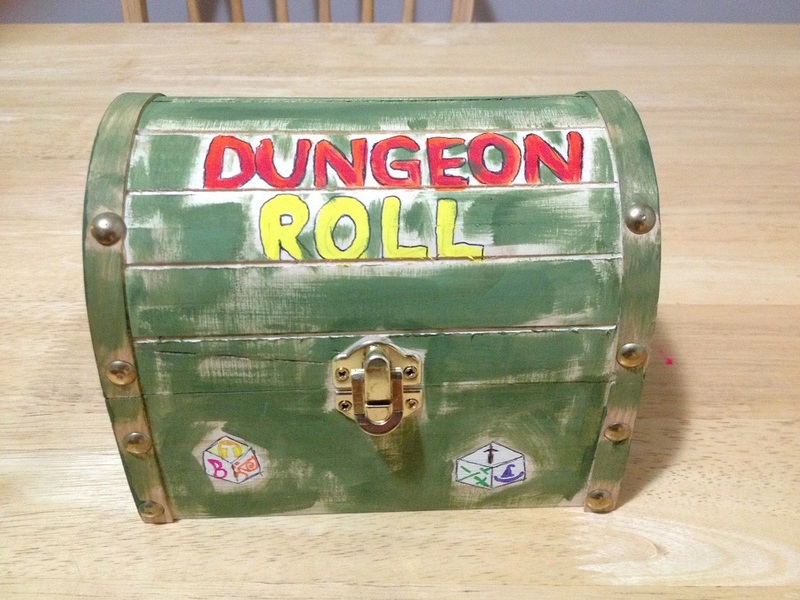 The game was pretty cool for it’s time, and gave me a great sense of mystery and adventure as a kid, at least as much mystery and adventure a kid could get from a board game on a living room floor or dining room table. After recently and unexpectedly seeing Whitesnake live, I remembered how much I used to love the guitar tone that John Sykes had when he recorded their 1987 album and his follow-up Blue Murder albums. I’ve always heard that he used a Mesa Boogie Dual Rectifier for those recordings. The HD500X Cali Tread model is based on the 2001 version of that amp, so I decided to create a patch using the Cali Tread. You can hear a sample of the patch here, and download at https://brianmhall.wordpress.com/hd500x-guitar-patches. So, if you had told me two weeks ago that I’d soon be at a Whitesnake concert, I would have just looked at you funny and laughed. But you would have gotten the last laugh because that’s exactly where I was last night. A friend of mine from church called me up a couple of weeks ago and said, “Hey, I just called a radio show contest and won two tickets to go see Whitesnake. Wanna go?” My first reaction was that he was joking, but it turns out that he wasn’t, so I said, sure, I’ll go. I’m not much of a Whitesnake fan, but I will admit that in the late 80s, I did like them quite a bit (I just won’t admit if it was the 1880s or 1980s). 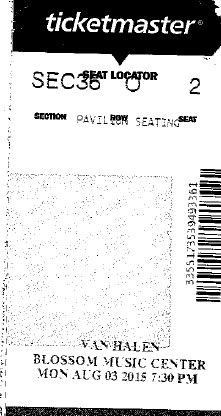 I even saw them in concert somewhere around ’89 (again, maybe 1889, maybe 1989, I’m not saying). So when my friend asked me to go, I thought it would be fun to go and reminisce. It was actually a pretty fun show. Every summer (or at least most summers), we stay at Ravenwood Castle in Hocking Hills in Ohio. It was originally advertised primarily as a quaint, romantic getaway and my wife and I spent part of our honeymoon there. It has gone through new ownership a couple of times since then, and the current owners have turned it into more of a gaming bed and breakfast, while still retaining the original idea of a romantic getaway (although we take our kids with us these days, so “romantic” isn’t usually our goal anyway, at least not on these trips). So now when we go, the check-in office has a shelf loaded with all kinds of board games that can be checked out (for free!) during our stay. This is how we first had the chance to try out Forbidden Island. 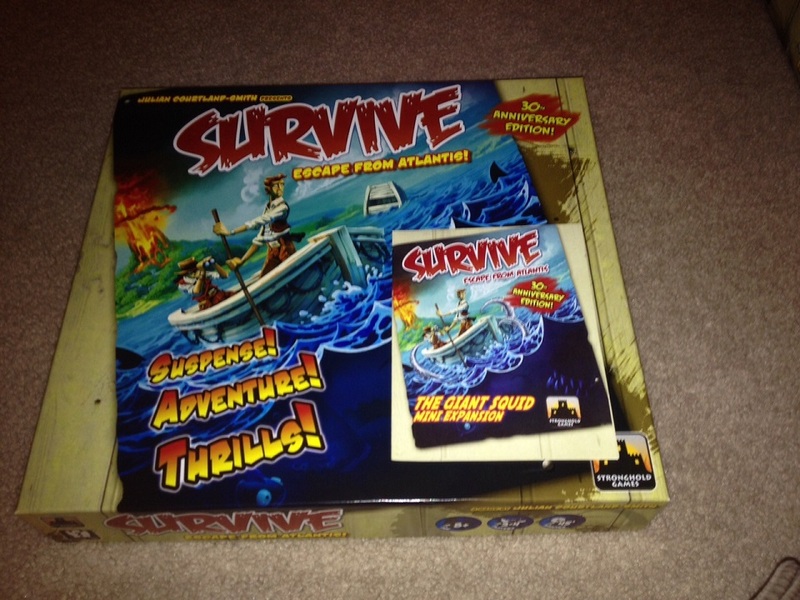 When we checked that game out, the employees that were getting our keys and taking our money also suggested that we try a game called “Survive – Escape from Atlantis!”. 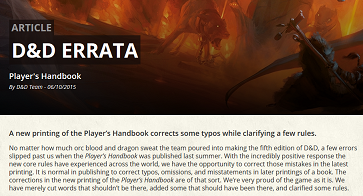 Just a quick note that the long awaited first errata document for Dungeons & Dragons 5th edition has been released by WotC. You can read more about it and download it here. Several weeks ago I wrote about stage volume and beaming when it comes to using an amp on stage. 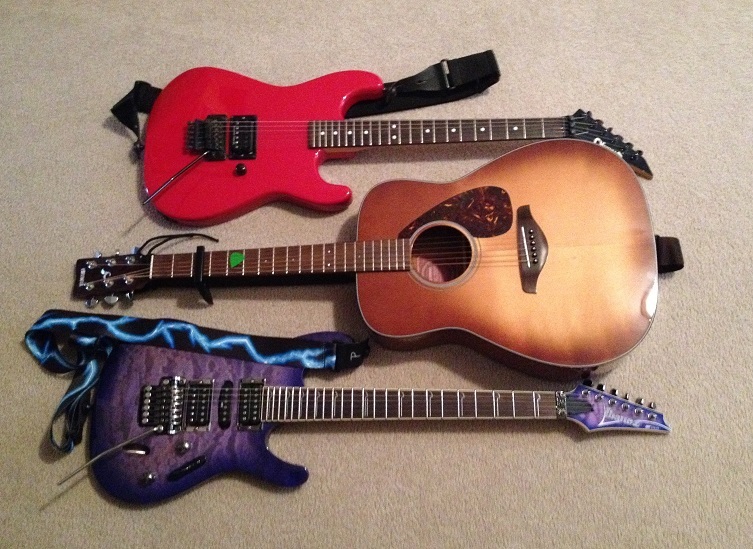 Today I want to talk about my experiences using microphones to send the guitar sound to a PA system. First let me start by saying that I don’t have extensive experience miking amps, and I generally don’t need to either because I either use a multi-fx pedal going straight into a PA system, or the amp itself was enough without needing to have it mic’d. Having said that, there was a period of time when I did need to use microphones to get my guitar sound into the main speakers controlled by a PA system. I spent quite a lot of time trying to learn the best methods to do so, and after a lot of trial and error, this is what worked best for me. The main thing that I found, as mentioned in the article I mentioned above, is that the amp has to have enough volume before being mic’d or else you’ll just be amplifying a small, weak guitar sound. The other things that I learned are 1) that you need to find the correct mic placement, 2) that you need to find the best mic angle, and 3) that you need to find the best distance of the mic from the speaker.